Other times including weekday tours available by appointment. Tours run year round, rain, hail or shine. Bookings assume that all tour information, guidelines and conditions have been read. Ballarat Heritage Tours run year round, rain, hail or shine. Ticket sales are final and non-refundable, except in the event that management is required to cancel a tour. If this must occur, all tour patrons will be notified and refunded accordingly. Ballarat Heritage Tours are smoke, drug and alcohol free. Management reserves the right to refuse entry to those patrons not behaving according to guidelines. Ballarat Heritage Tours are not liable for any inconsistency which should arise as a result of events beyond our control. Tours depart at scheduled times and will not wait for late patrons. Patrons under 18 years of age must be accompanied by an adult. Tours are not suitable for children under 6 years of age. 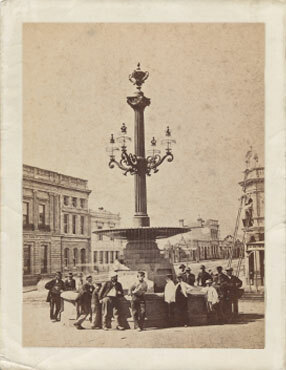 Information provided to Ballarat Heritage Tours will not be used for any other purpose other than booking of the tour.